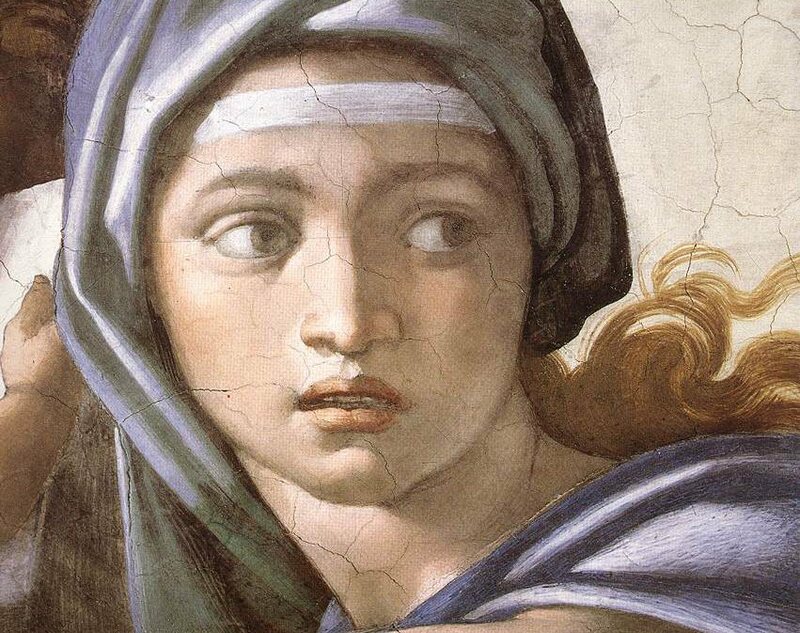 Did you know that Michelangelo Buonarotti was known as the ‘divine one’, during his lifetime? He was considered the greatest living artist in his lifetime, and has since been held as one of the greatest artists of all time. Despite making few forays beyond the arts, his versatility in the disciplines he took up was of such a high order that he is often considered a contender for the title of the archetypal Renaissance man, along with his fellow Italian Leonardo da Vinci. -In 1564, he died the same year Shakespeare was born. One genius dies, another one is born. -He didn’t want to paint the Sistine Chapel ceiling. He was a sculptor, not a painter (modest man). -His self portrait is on the skin of Saint Barthelomew on the Sistine Chapel ‘Last Judgement’ altarpiece. -Michelangelo was from Caprese, outside of Florence, but spent a lot of time working in Rome, on the Sistine Chapel cieling, in the Vatican City, as well as designing the dome of St Peters Basilica, designing the Campidoglio square on Rome’s Capitoline Hill, and the tomb of Pope Julius II. 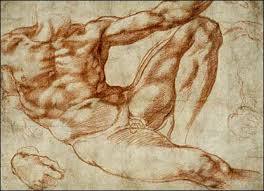 Michelangelo was a busy man. -1475, the year that Michelangelo was born, was also the same year that the Sistine chapel was built. -David’s pupils are heart shaped. -Michelangelo’s tomb displays three women personifying muses, painting, sculpture and architecture, carved onto the tomb, by Vasari, because he perfected all three arts. -His statues were often referred to as prisoners, as they were figures that already existed in the marble, All Michelangelo had to do was ‘release’ them. As if he had not designed them himself, his role was to release the figure from the stone. -A number of his works in painting, sculpture, and architecture rank among the most famous in existence. His output in every field during his long life was prodigious; when the sheer volume of correspondence, sketches, and reminiscences that survive is also taken into account, he is the best-documented artist of the 16th century. -Two of his best-known works, the Pieta and David, were sculpted before he turned thirty. -Despite his low opinion of painting, Michelangelo also created two of the most influential works in fresco in the history of Western art: the scenes from Genesis on the ceiling and The Last Judgement on the altar wall of the Sistine Chapel in the Vatican City, Rome. -In a demonstration of Michelangelo’s unique standing, he was the first Western artist whose biography was published while he was alive. -In his lifetime he was also often called Il Divino (“the divine one”). Book the Italy’s Best Tour of the Vatican and experience the museum after hours, or the Early Morning Vatican Tour to discover more about the genius Michelangelo, and enjoy exclusive access to the art, without the crowds.